Your family’s safety and survival plays an important part in your parenting role. Check out these survival food storage ideas if you’re facing a disaster or emergency with your family. In a disaster or emergency situation, having adequate food and water should be your top priority for your family! You can survive without power and many of the creature comforts you’re accustomed to, but you cannot survive without food and water. 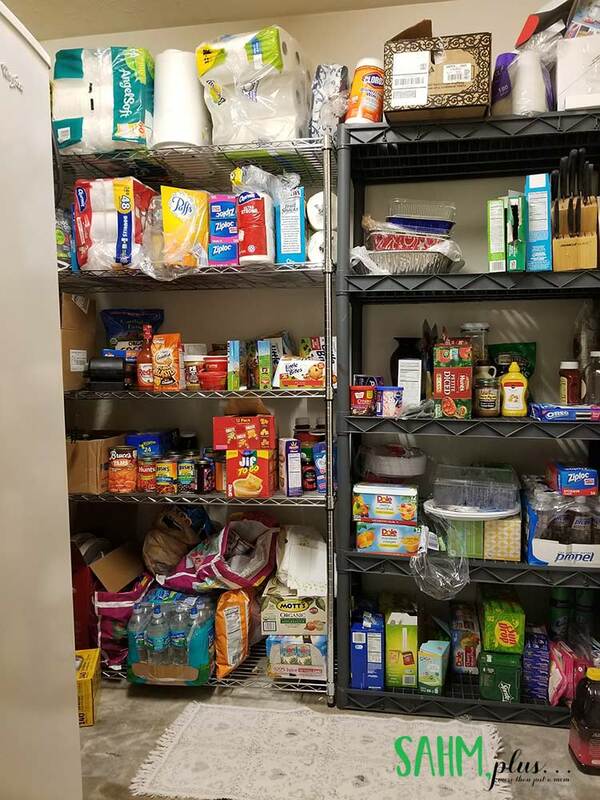 So, regardless of whether you choose to stay at home or in a shelter, or even get stuck in your car during an evacuation, you must think about your food and water supply. 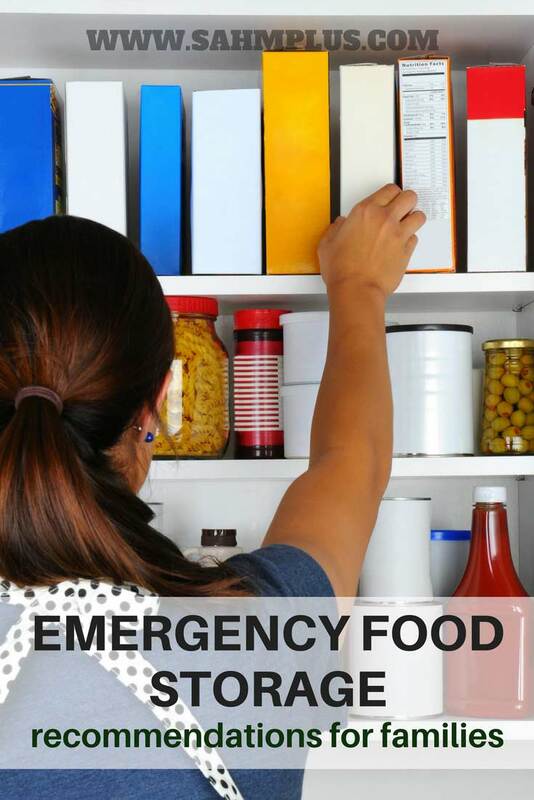 I want to help you with survival food storage ideas so you’ll be prepared for an emergency. Having emergency or survival food storage doesn’t have to be a costly or complicated process. In fact, you probably have a lot of what you’d need right in your own pantry. Before running out to the store (or ordering a massive supply on Amazon), figure out how long you want to prepare for. Generally, having at least a week’s worth of stored food and water is great during a natural disaster. During your planning, you must keep in mind that you have to ride out the storm and be prepared for any extra time it takes for clean up, rescue efforts, and power restoration. 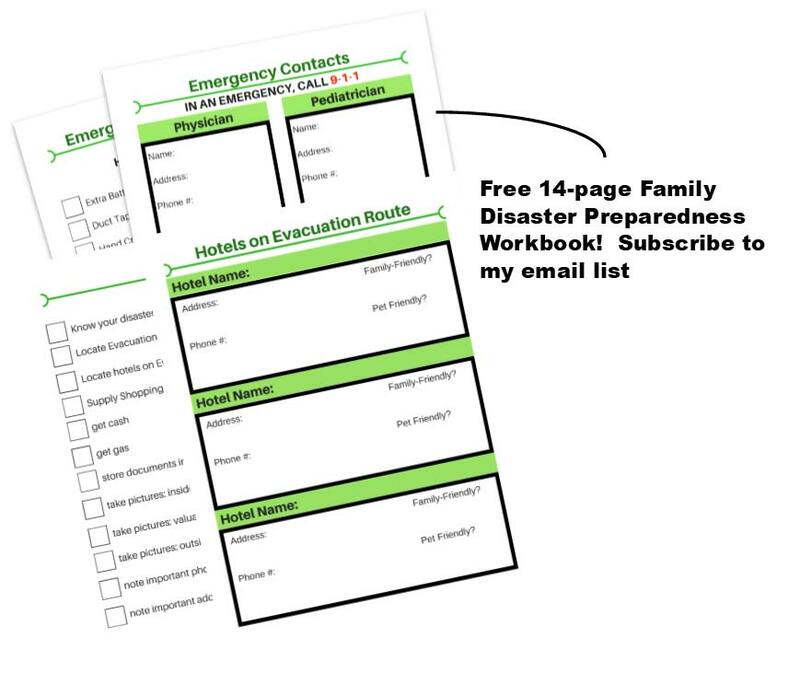 Before we get started, I’m sharing a 14 page Family Disaster Preparedness Workbook. 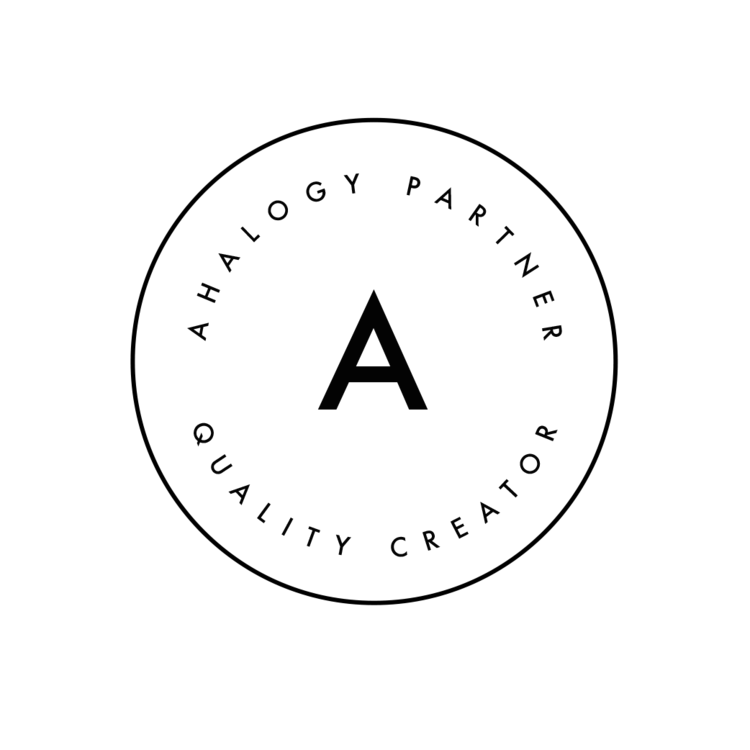 Just join my newsletter and you’ll get it for FREE. But, that’s not it. 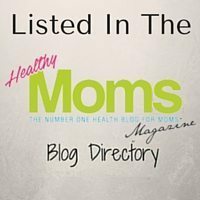 You’ll get instant access to a library of free printable resources for parents! Your number 1 priority should be water. You can live longer without food than you can without water! So, when preparing for a disaster, make sure you are always thinking about this survival resource. Though we hope, in any emergency, we’ll have running water, it’s not a guarantee. Don’t depend on your home water source as the only way to get drinking water. It’s never a bad idea to have store bought water bottles on hand. Just be sure to cycle through them before their expiration date. 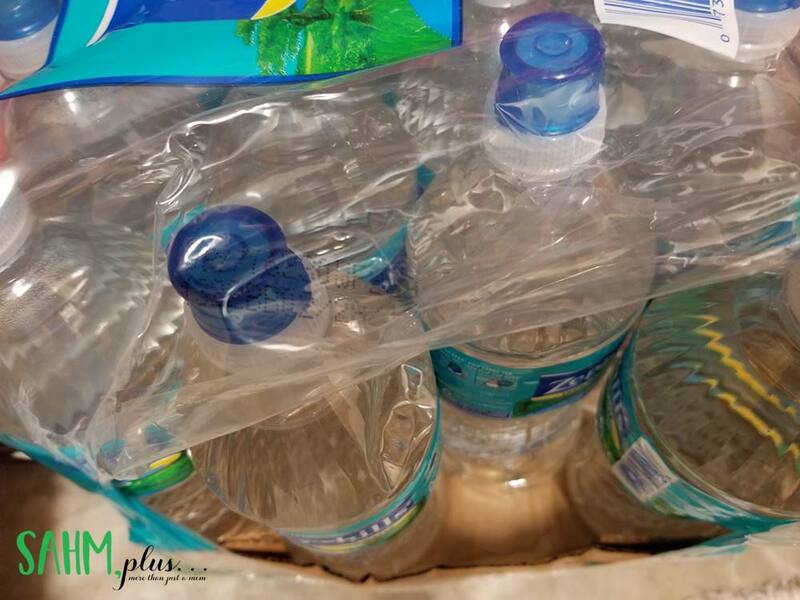 If you have warning that a disaster is likely, begin filling up milk jugs, soda bottles, and/or other clean containers you have around the house. Filling up a clean tub is another great way to have plenty of available drinking water in the event you’re without power for an extended period of time. Think of things you can eat straight out of the package. If a family member has food allergies, make sure to stock up on an assortment of items for them as well. Plus, if you have a baby or toddler who takes formula, it’s a good idea to stock up on extra water and formula packets! 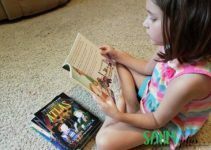 These items might make getting through a disaster with kids a little more bearable for everyone. In summary, make a list of things you know your family will eat. These should be things you know you’ll use up even after the disaster is over. Afterward, round out your stockpile with things that will keep the family full and healthy. What if I don’t know I need the food? A good plan of action is to purchase a small supply of food you will go through easily. Make it part of your regular grocery shopping list and eat the food during the week as you normally would. During each grocery shopping trip, replenish your stock. Do not stock up on items you’re not certain you’ll eat. If you’re not a fan of tuna, save your purchases of items like this for a time you’re more likely to need it. In our case, I wouldn’t buy a can of tuna until right before hurricane season. Lastly, make sure you have your family give you input on their survival food storage ideas. 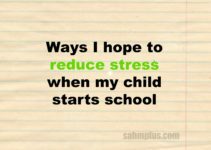 Giving everyone a sense of control and responsibility will help keep the peace in what could be a stressful situation. The last thing you’re going to want to do in a disaster event is to fight over food when there are no other options. 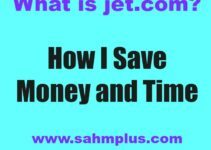 What is Jet.com and How Does it Save Time and Money? Your tips are great. You can never be too prepared. We’ve had a couple of times in our family when our emergency supplies have come in handy. Love your printouts. You really just never know when you’ll need something. But, with FL, we’re certain to need to stockpile around the same time every year. Much better to be prepared in advance, too 😀 Thanks for visiting!! This is so smart! You never know when something will happen and it is always good to be prepared. Echo recently posted…Why I Save On Family Travel with Spirit Airlines and You Should Too! And prepared ahead of time. I’m not one to deal well with crowds, so I’d much rather stockpile early and not need it instead of trying to gather up while everyone is. Not being able to grab necessities during the last minute shopping isn’t fun! Great tips and suggestions. Important to be planned for the unexpected events in life. These are great tips. We live in an earthquake zone so we always need a good emergency kit. I like your printable too. Very useful! We live in Florida so it is important to have a stockpile. Now that we are getting into storm season, I’m going to start stocking up on water. Hopefully it never comes to needing those things. But it is good to always be prepared. We keep a couple cases of water in our basement just in case!